The OncoArray consortium, which includes more than 550 researchers at 300 research facilities around the world, has identified 72 new gene variants that predispose to breast cancer, via a genome-wide association study (GWAS) using the data of more than 275,000 women. 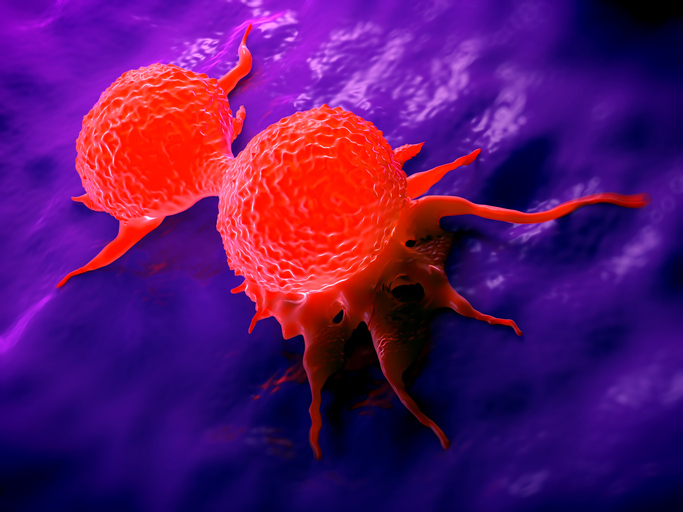 Many of the variants lie in regulatory, rather than coding regions, and an additional seven variants are specific for estrogen receptor-negative (ER-negative) breast cancer. The consortium hopes the GWAS findings will provide new insights into the genetic basis of breast cancer, as well as open up new avenues for research into early diagnosis, treatment, and potentially prevention of breast cancer, particularly for hormone therapy–resistant, ER-negative disease. The OncoArray consortium’s results are published in Nature (“Association Analysis Identifies 65 New Breast Cancer Risk Loci”) and in Nature Genetics (“Identification of Ten Variants Associated with Risk of Estrogen-Receptor-Negative Breast Cancer”). Breast cancer risk is known to be influenced by rare coding variants in susceptibility genes such as BRCA1, and by many common, and mostly noncoding, variants, the researchers write in their letter in Nature. However, much of the genetic contribution to the risk of breast cancer isn’t known. The team carried out a GWAS of breast cancer in 122,977 cases and 105,974 controls of European ancestry, and 14,068 cases and 13,104 controls of East Asian ancestry. Their analyses highlighted 65 new loci associated with an increased overall risk for breast cancer. Most of what they describe as the “credible risk single-nucleotide polymorphisms” (SNPs) were in distal regulatory elements, and not in coding regions. The breast cancer risk variants identified are common, with some being carried by more than 50% of all women. But while the risk associated with each risk variant is small, the effects of multiple variants combine to increase the overall risk of breast cancer. An individual’s risk also increases when genetic factors are combined with relevant hormone and lifestyle factors.The researchers estimated that based on all the variants that have been identified to date, about 1 in 100 women have a breast cancer risk that is 3.5 times greater than that of the general population. Most common breast cancer susceptibility variants have been identified through GWAS of predominantly ER-positive disease. In their Nature Genetics paper, the OncoArray consortium describes a GWAS of 21,468 ER-negative cases and 100,594 controls, combined with 18,908 BRCA1 mutation carriers (9414 with breast cancer), all of whom were of European origin. Their results highlighted 10 new susceptibility variants for ER-negative breast cancer, and also replicated associations with another 10 variants that had previously been reported in GWAS of ER-negative disease or BRCA1 mutation carriers. Most of the new and previously identified variants are associated with ER-negative disease, and not ER-positive breast cancer, highlighting the specific genetic nature of this form of breast cancer. The researchers noted that their study also observed consistent associations with ER-negative disease for another 105 susceptibility variants for breast cancer overall, which had been identified by other studies. Roger Milne, Ph.D., at the Cancer Council Victoria in Melbourne, suggests that the OncoArray findings may help to improve risk prediction both for the general population and in particular for carriers of BRCA1 mutations. “A better understanding of the biological basis of ER-negative breast cancer may lead to more effective preventive interventions and treatments,” he commented.